forgot mah rice! sheeesh! i forgive you though, cause you gave me so many yummy eggs and sliced them up for me and everything! So did you get to redo the grassdancer's braids? Now this is how the Redhorse Cafe should be 'After Hours'! Check out me out in the vid. I'm the one with the klinky-top doo! Oops! My bad! 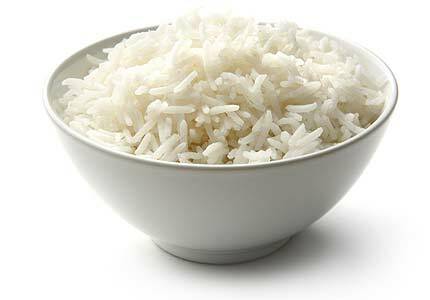 Here's some rice for ya! Didn't know if you preferred white rice or wild rice, so I made both!!! gotta have the white with dem eggs! I can do all 6 things in the '3 things' thread!!! my mini and i smashed some nachos, now she is all sleepy. awww cute. so now i would love some yummy fluffy coconut cream pie,and a big ole glass of sweet tea! lots of ice! why thank you. mmmmmmmmmmm. could eat a whole pie of the sheet! so what you got going on down there in the cities? lol my downtown is two blocks long! have a great visit and drive safe. i think the trading post is my only stop today. why are you thinking you might not be working monday? Now I know why they don't sing with mnx, tbz OR eyabay!!! See what drugs will do to you if you live in Minny Sota!! !